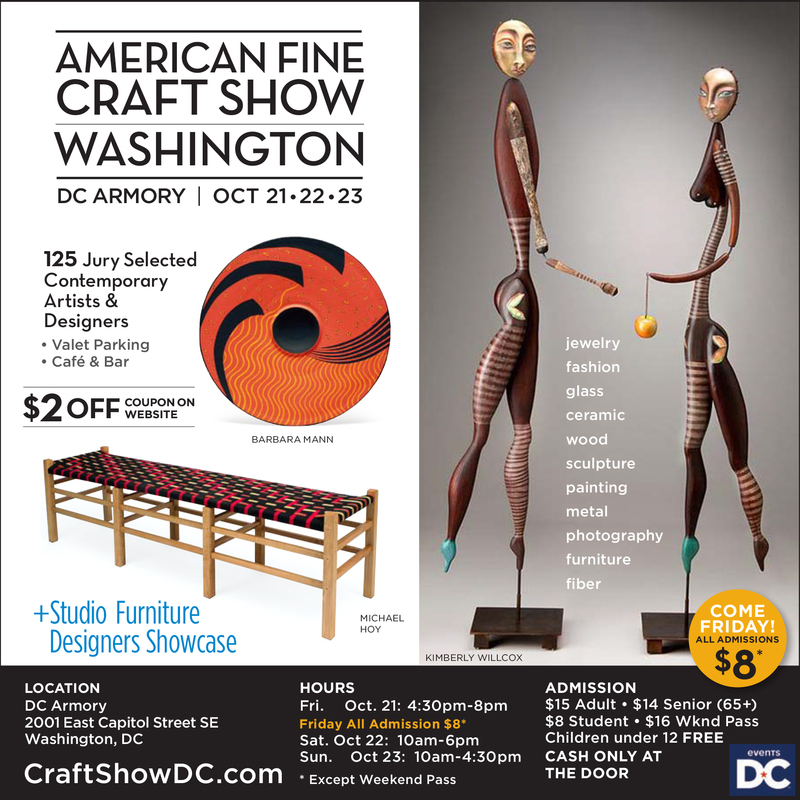 I am excited to return to the DC Armory for the American Fine Craft Show next weekend featuring work that is fun, functional, and affordable! The event runs Friday 4:30-8 pm, Saturday 10-6 pm, and Sunday 10-4:30 pm. I will have new hats from my 2016 Collection and, as always, ready for your custom orders! Come visit me in Booth #151! Receive $2 off Adult admission on the weekend by sharing the postcard below!